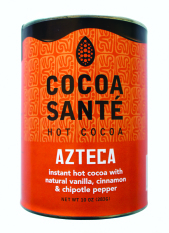 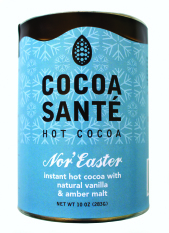 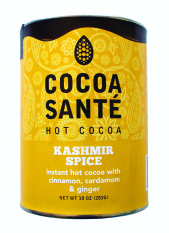 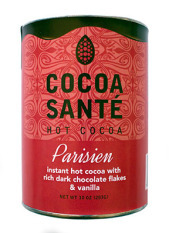 Cocoa Santé – rich, creamy cocoa in an instant! 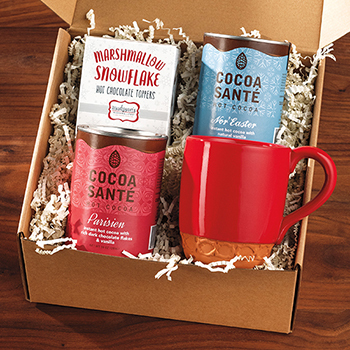 Made with organic cocoa, organic cane sugar and, all natural ingredients, our line of high quality and responsibly sourced hot cocoa mixes celebrates the union of delicious and nutritious! 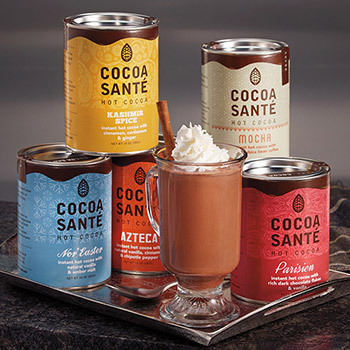 Available in five artisan blends, each inspired by cocoa's rich global history, there is a flavor for everyone! 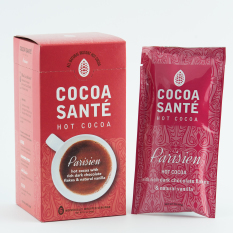 Because it is organically and ethically grown, our cocoa is good for you, our farmers and their farms. 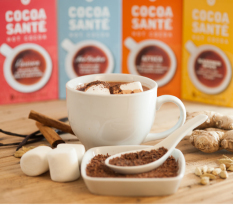 Using an Equal Partner Direct Buying Program, we purchase directly from the farm cooperatives in the Dominican Republic and South America, ensuring the best prices for the farmers. 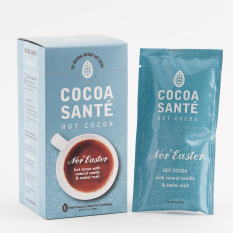 Packed with antioxidants to protect your body and promote good health, Cocoa Santé is a satisfying snack to share with your family, chase away the winter chill or enjoy over ice on a hot day!